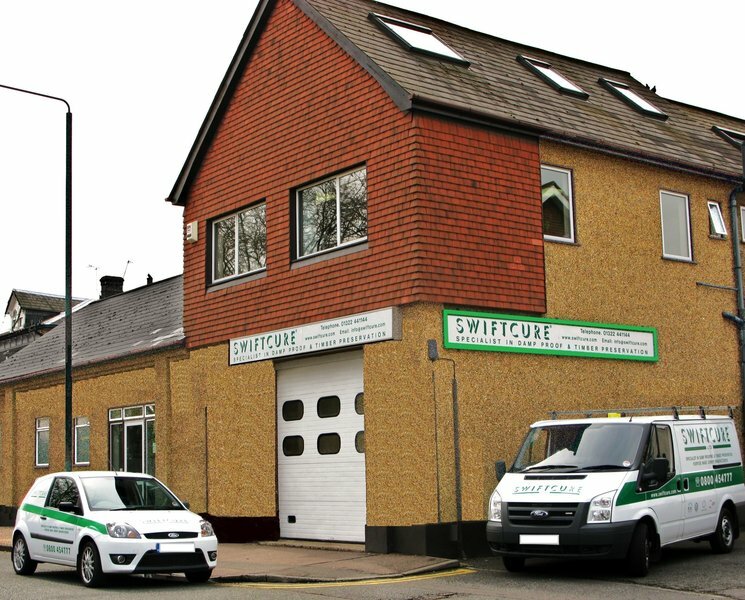 Swiftcure specialise in damp proofing, timber preservation and basement waterproofing, successfully treating private, commercial, housing association and public sector properties. 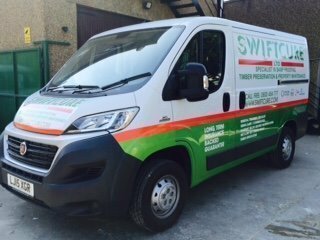 A family-run Company with over forty years of experience, Swiftcure are based in Kent and operate across London and the South East. Our Specialist Surveyors are trained to C.S.R.T. (Certified Surveyor in Remedial Treatment) and C.S.S.W. (Certified Surveyor in Structural Waterproofing) accreditation; they are fully equipped to carry out complete surveys and provide detailed comprehensive reports and quotations and are on hand to give professional advice. PCA trained technicians and plasterers who deliver a quality, professional service with minimal disruption and minimal environmental impact. Long-term guarantees with the option of independent Guarantee Protection Insurance. I was completely satisfied with the quality of the works undertaken and have used this company on two previous occasions and been satisfied. Thank you for your feedback, very much appreciated. The quote was very competitive. The workmen always arrived on time and the standard of work was high. An excellent company to deal with friendly and efficient. The property had damp issues. The surveyor visited the property and room by room explained the problems and the action that needed to be done, beyond the injection and replastering, the need for further extractor fans and ventilation there was never a hard sell. He then inspected the exterior and pointed out areas of concern, again explaining what needed to be done. Communication was very good I was meeting the surveyor on site for the initial survey but he was stuck in traffic and didn't know how long he would be, the office informed me of this problem and rearranged the appointment for another time, greatly appreciated as I'd taken the morning off work. I was kept informed of progress and any areas that needed further discussion as outlined in the quote, possible areas of thick plaster etc. Upon completion I visited the property and was pleasantly surprised on how clean the property was, cleaner than I expected. The quality of the work looks good with a nice finish to the plaster, it's too early to know if its cured the damp but I got a company in for the peace of mind with a guarantee. We had some damp work carried out, and were very happy with the whole service. Have used Swiftcure previously too.